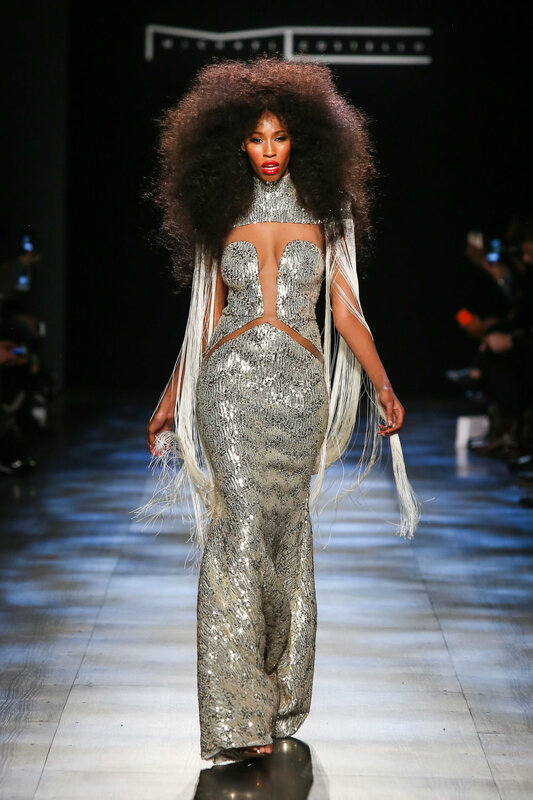 Wildly passionate, rock and roll influenced and steeped in an intensely sultry vibe, the Michael Costello Fall 2017 collection was a bold trip through modern hyper-femininity. The looks were high on glamour, as sheer lace, silks, and sparkling metallics all made an appearance in the gown-heavy collection. It was dreamy, and at times fearlessly boundary-pushing, which felt like a nod to Costello's growing popularity as a red-carpet and high profile event celebrity go-to designer. Full run of show photos below; click on any image to launch light box mode for best viewing.